Earrings of handmade Sterling silver rings. Large ring with a smaller ring within, featuring a centerpiece of a handmade, Sterling silver sun burst charm. 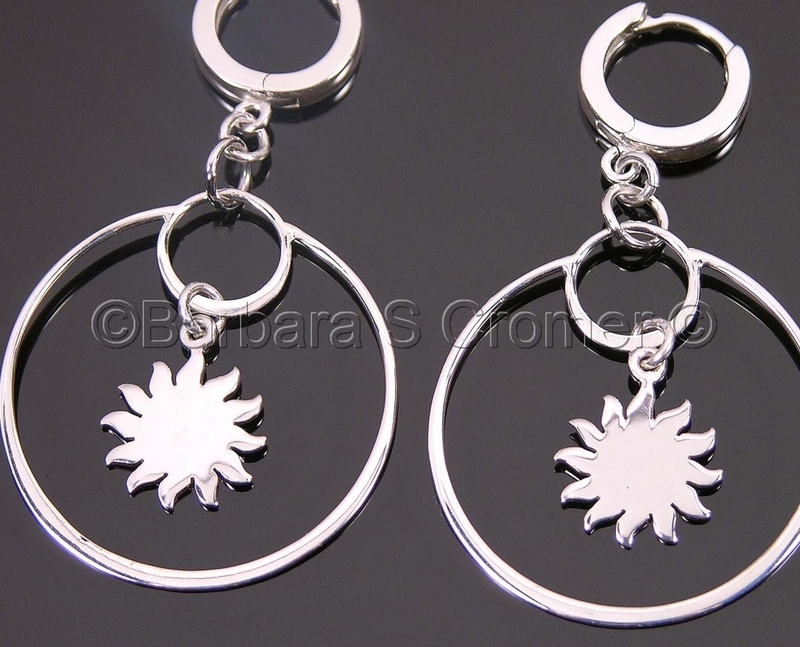 Modern, round, locking "Euro-style" round lever back ear wires, 1.75 inches overall.